Former Leith MP Ron Brown has died at the age of 69, after a long illness. The ex-Labour politician, known as 'Red Ron' for his left-wing views, had been suffering from liver disease. He was heavily involved in Scotland's anti-Poll Tax campaign and in the 1970s and 80s he held a number of meetings with Colonel Gaddafi in Libya. In 1987, the rebellious MP famously grabbed the House of Commons mace during a poll tax debate in 1987 and broke it by throwing it to the ground. 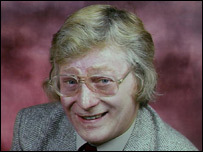 Mr Brown, who won the seat of Leith in 1979, was eventually deselected and removed from the Labour Party in 1992. But the former electricity board worker and councillor remained active in local politics and was a member of the Scottish Socialist Party. Former Labour MP Tam Dalyell said Mr Brown's image as a "figure of fun" was totally unfair. Mr Dalyell added: "He gained a reputation for going to highly controversial countries such as North Korea. "But the fact is that Ron Brown was one of the few people to have gone to Afghanistan before the crisis blew up and warned us that it was extremely unwise to back the mujahideen against the Russians." Mr Brown, who was born in West Pilton, died on Friday morning at the Royal Infirmary in Edinburgh. He is survived by two sons and a partner. His funeral will be held in Edinburgh next Friday. A statement released by his family said: "He will be greatly missed not only by family and friends but by the many socialists and ordinary people whose lives he touched."